Currently on vacation for two weeks and not travelling anywhere too far from home, I have the luxury to bake and post the results sooner than I've managed to over the last 6 months. The Czech type Rye bread that was shown in my last post was the most recent loaf made and it disappeared, ahem, rather quickly. It was such a nice bread I almost made a second loaf of it but decided to conserve the remaining bit of the Czech rye flour for other projects. It's been an interesting, and very satisfying experience over the last two bread bakes using the Gilchester's flour from the UK that Andy shared with me and the Czech rye I found in Prague, but now it was time to use some of the flours from my own country. The formula I put together uses organic whole grain Red Fife milled at True Grain Bakery here on Vancouver Island, along with One Degree Organics Sprouted Spelt Flour and Anita's Organic AP flour. The whole grain RF and the spelt account for just slightly over 51% of total flour in the formula giving the finished loaf a wonderfully robust and complex flavour profile highlighted by the slightly spicy character of the Red Fife and the toasty, nut-like contribution of the spelt, all complimented by the tang of a 16 hour sour leaven. The crust has a good crunch to it, offering notes of caramel to the overall flavour of the bread as well. The flours were given a three hour autolyse before the final mix which resulted in a remarkably soft, moist, and open crumb compared to similar type mixes I've made in the past. Somehow I don't think this loaf will have the opportunity to go stale and more likely it will disappear as quickly as the previous loaf did. Add all of the water indicated in the final mix to all of the flours and autolyse for 3 hours. Add more water if needed to ensure there are no dry parts in the dough. Final Mix: Add the barley syrup and leaven to the dough and mix till thoroughly combined then add the salt and continue mixing until the dough is smooth and cohesive. Five minutes on 2nd or 3rd speed depending on your mixer, or by hand for 8-9 minutes. Using the slap and fold technique is recommended. Test for a windowpane to ensure sufficient development before putting the dough into bulk ferment. Bulk ferment for 90- 120 minutes at 78F giving the dough two stretch and folds at 30 and 60 minutes. Give the dough a third S&F if needed at 90 minutes. When bulk ferment is complete, round the dough lightly and rest it for 15 minutes before final shaping. Shape as desired and put the dough for a final rise of 60 -90 minutes. The spelt content makes this dough a fast riser and it should be monitored closely after 45 minutes. Preheat oven and stone to 485F for 45-60 minutes. Proof the dough to 10% less than double the original size. Have your steam system in place in the oven. Slash as desired and slide the dough on to the baking stone. Reduce the oven temperature to 465F and bake for 10 minutes, then remove the steam system and allow the oven to vent. Continue baking for 25-30 minutes, rotating the loaf for even colouring and reducing the oven temperature if necessary for a well coloured loaf. Bake to an internal temperature of 210 F.
Remove the loaf to a rack to cool for an hour before wrapping it in cloth. Allow to cool completely before slicing, 5 hours or more. What an outstanding loaf of bread Franko! I had to break off from planning for the Powburn Show to get a comment in quickly. Superb showcase for those local flours. A taste sensation, and first class crumb and crust too. I'm pretty happy with all the characteristics of this loaf, but the flavour most of all. One of those breads that lasts on the palate long after you've eaten it. Coming from a guy with a portfolio of some of the most stunning loaves on this site, that's a terrific compliment Phil! Thank you my friend. that dark rye flour that put it over the top if you ask me :-) Here I am getting back to one flour breads with SD, water and salt - maybe some malt and gluten and there you go off the deep end with my apprentice! Beautiful bread none the less but, be warned, these breads can be deductively delicious and make you forget all about less is more.......and they are only less when there is no more. You have a good memory re: less is more. At the time I offered that pithy little suggestion I was kind of appalled at the length of your ingredient list, wondering how the heck you'd ever be able to discern the flavour of one grain from another. In retrospect, that particular comment is completely at odds with my fundamental life credo of something for everyone regardless of my own preferences. Bake on my friend, and let your style be your own. It serves you well and inspires a lot of other folks to bake their own bread, which in the end, is really what it's all about. Thanks for your kind comments on the loaf dabrownman, greatly appreciated! Thanks for the formula. This is a keeper. Your local Save-On should have the One Degree Spelt flour and maybe Nunweiler's Red Fife as well. Failing that, try your local bio store, or ask them to get it in for you.The best flour you can use comes from grain that's grown and milled as close to home as possible. I'd like to think that was true for everyone, but we are especially lucky here in Canada & the US when it comes to high quality flour. Happy that you like the loaf enough to do your own bake of it John, just keep in mind that the spelt portion of the mix, although it may seem like a whole wheat flour, has quite a marked effect on fermentation, causing the dough to come much quicker than you might expect. Just a heads up. Thanks for your comments John,looking forward to your bake of this bread. I haven't seen the One Degree Spelt at SaveOn, unless it is the un-named organic spelt flour that I get from the bulk bins there. Will keep an eye out though. I plan to pick up some spelt flour at Anitas tomorrow. In our local Save-On it's stocked in the aisle that has all the organic flours and grains, most of which are the Bob's Red Mill products. There's also a bunch of gluten free mixes and sugar alternatives on the shelves as well. The stuff in the bins won't be One Degree. One of the things I like about the One Degree Spelt is that the grain is grown here in B.C., not far from Vernon. When you're at Anita's try to get the sprouted spelt if possible. Check out this *link* for more info. Went to Anita's yesterday. A kid in a candy store! Never used a sprouted flour before. 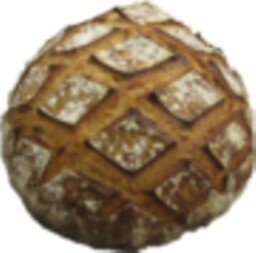 Any tips on how to adjust formulas for sprouted flour, if needed at all? Great stuff John, sounds like you're well provisioned with good flours to work with. As far as formula adjustments for spelt flour, (sprouted or not) the only one I've used in the past was for a loaf I made back in December which included some apple cider vinegar in the formula. The thought behind that was to increase the acidity slightly to help strengthen the weaker, more fragile nature of the gluten in spelt. That loaf was made with 100% Spelt so I was trying to hedge my bets by including the vinegar. In retrospect I could have probably gone without it, but it didn't cause any problems either. Mixing and fermentation times are the things to be more concerned with regarding spelt, reducing both from normal wheat based times. If you keep the spelt percentage at 25% or less you shouldn't need to reduce mixing times by much, say 20% or less. Better to rely on stretch and folds to develop the dough than risk over-mixing during the initial stage. Try to use as much water in the mix as you're comfortable handling, as spelt has a drying effect on the crumb after a couple of days. The loaf above could have used a bit more hydration than it had.Keep a close eye on dough temps and fermentation times and you should have yourself a good loaf. Hope this helps, but let me know if there's anything else I can answer and I'll do my best. Thanks Franko. That is great advice. Just as I was reading your message, I was cleaning my hands of the 100% spelt loaves I am baking tonight. So good timing with your advice. I did not use vinegar, however, my rye starter is quite sour, and at 19.4 % starter in the formula, hopefully this gives enough acid. and you've shown so beautifully what can be crafted with them! this bread is so compelling...! It's truly a privilege to be able to bake with flour from other parts of the world and one I was very happy to have shared with you. The time I spent baking with Andy and witnessing how much value he places on being able to showcase the high quality of his own local flour has a lot to do with the inspiration for this loaf. Thanks so much for your compliments on the loaf breadsong! and I can only fantasize about the taste. Thanks so much Juergen,.Very kind of you to say, and certainly appreciated. Excellent! Bread can't get much better than this, Franko. Like Phil, i admire the quality of ingredients used. Your skillful hands have turned those ingredients into one of the best bread that could be had. Often I will labour over a formula trying my best for something that maximizes the flavour of the grains. This one almost wrote itself , falling into place quite naturally. Nothing fancy, just an honest bread using the best ingredients available to me. Glad to know you liked this one Khalid, and hope to see your own version of it at some point. Great color, crust, crumb and scoring! Well done Sir! I appreciate your comments, very kind of you. I'm going to add this one to my Farmer's Market product list when...and if I'm ever able to do what you're doing with your own local FM. A very lively sour leaven along with the flours being well saturated after the 3 hour autolyse were two of the key factors in the crumb. The loaf did have a good jump but perhaps I should have taken it a bit sooner. If you look at the profile of the loaf in the crumb shots you can see the left side has spread slightly. Nit-picky on my part I know, but I have had better profiles in 100% Spelt loaves in the past, and why I'm thinking it could have been baked off sooner than it was. Thanks for your generous comments on the loaf Julie, happy that you liked it. Your formula is very interesting. I have never been really impressed with Spelt. Maybe I need to revisit it. And using a rye starter for mostly-non-rye breads has been on my "to do list" for some time. Thanks for the great write-up and the inspirational bread! I know what you mean about spelt. The first time I used it was several years ago for a loaf that Marie had requested. My impressions were fairly similar to yours. Nowadays I'm more inclined to use it in breads since the Sprouted Spelt from One Degree Organics has come on the market. The flavour is superior, and the flour handles much better during mixing, fermentation and shaping than previous ones I'd used. I know that One Degree products are available in some U.S. Whole Foods stores and perhaps it's available in your area as well. For now and the foreseeable future, rye starter is the only one I keep since it's all I really need for the breads I bake most often. I appreciate you taking the time to post the recipe. I will have to give it a go. I look forward to trying to recreate the texture you spoke of. Happy to share it with you trailrunner. I agree, rye starter adds some of the deep flavours I want in the breads I bake most often. Haven't seen To Your Health Sprouted Flour out here in Western Canada so far but I'll keep an eye out for it. Thanks for passing that on. I couldn't ask for better flavours, that's for sure. I checked my local Whole Foods Market today, and, to my surprise and delight, they had a couple bags of One Degree Organic Sprouted Whole Wheat flour! This intrigues me, and my only concern is whether flour made from sprouted grain needs any different treatment than unsprouted. Any thoughts? Experience? Advice? In looking at One Degree's web site, I was disappointed to find no indication that their flours are stone ground. On the other hand, I see that they get their raisins from the "Three Sisters" farm, which is in my County and sells at the Farmers' Market I shop at twice a week. I'm glad to hear you were able to find some of the One Degree Sprouted Whole Wheat flour at your local store. It will be my next flour purchase as well. Unfortunately my experience with sprouted grain flour is limited to only a few bakes and all using sprouted spelt, a different beast entirely. From looking on the Anita's site which also sells sprouted flours and the only one I could find that stone mills it, they say it can be used in the same way or substituted for regular wheat flour. According to this site however, sprouted grains contain less gluten, which may impact how it handles in a dough depending on the ratio used in a mix. I tend to think that fermentation times will be shorter due to the higher available nutrient levels than in standard flour as well, but just a guess I'm afraid.The best advice I can offer is to substitute a percentage of the sprouted flour, say 50% of total in one of your mixes that you know well, and note what, if any differences occur compared to your usual mix, as far as water take up, mixing times to development, bulk fermentation, shaping, and how it colours when in the oven. I'm looking forward to reading your observations and thoughts on working with sprouted flour after you've had an opportunity to bake with it. for the links and your cogent thoughts. I didn't purchase the sprouted WW flour, but I think I will. I have a few candidates for trial formulas which range from 30 to 100% WW. I will read the links you provided before deciding where to start. Just a couple of notes which may be useful. Firstly, yes, the proteins begin to denature when the grain is allowed to sprout. Secondly, the sugars will be more readily available too. I guess the key is to think in terms of speeded up enzymatic activity...protease and amylase. Hence less tolerance as Franko covers. Thanks for your advice. Two thoughts: 1) Shorter bulk fermentation, and 2) use stronger flour along with sprouted WW. Does that seem correct to you? Hope you and the family are having a good summer here on the South Coast.